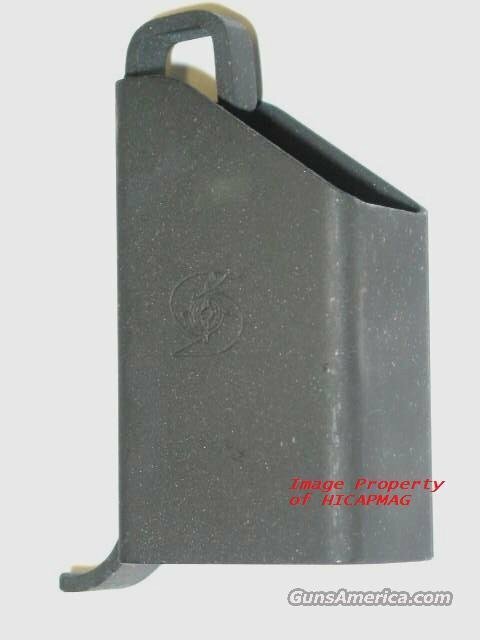 Description: New COBRAY Marked Magazine loader for the .45 Caliber M3, M3A Grease Gun, MAC Ingram,Commando Fox, Apache, Eagle and 45 cal. Cobray, Mac, MPA, Sten, UZI,and most 45 cal double stack magazines,(except Thompson). Will also work with 9mm but is a bit oversized.High quality steel construction and highly recommended for loading these high capacity magazines. These loaders are highly collectable and selling for much less than the list price. Buyer pays flat rate shipping of $6.95. Payment to be made by Certified check, Money Order, or Personal check (item held till cleared). Check out my other auctions as I combine shipping.